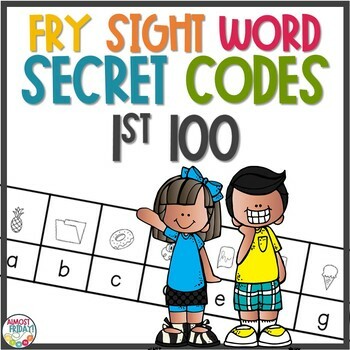 This Sight Word activity pack contains the 1st 100 Fry High Frequency Words. 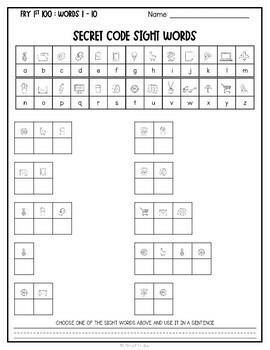 Word work is fun with these differentiated secret code worksheets! 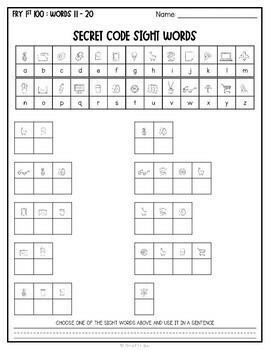 These pages are perfect for students who need one-to-one correspondence (helps with tracking their place within the word). 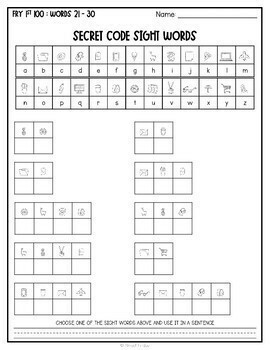 These pages are perfect for students who can work with more words at a time and can successfully track their position within a word. • Please go to your My Purchases page. Beside each purchase you'll see a Provide Feedback button. Click it and give a quick rating and leave a short comment for the product. TPT gives you feedback credits that you use to lower the cost of your future purchases. I'd love to know how this product is working for you and your students.